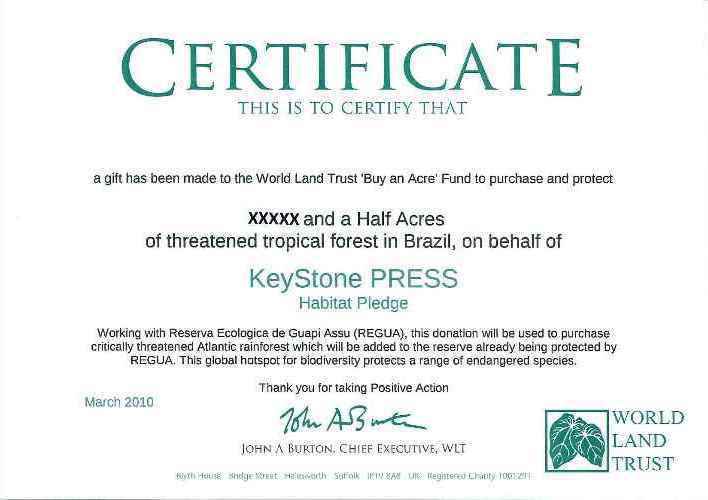 KeyStone PRESS accepts its share of responsibility for woodchip logging associated with the book trade. 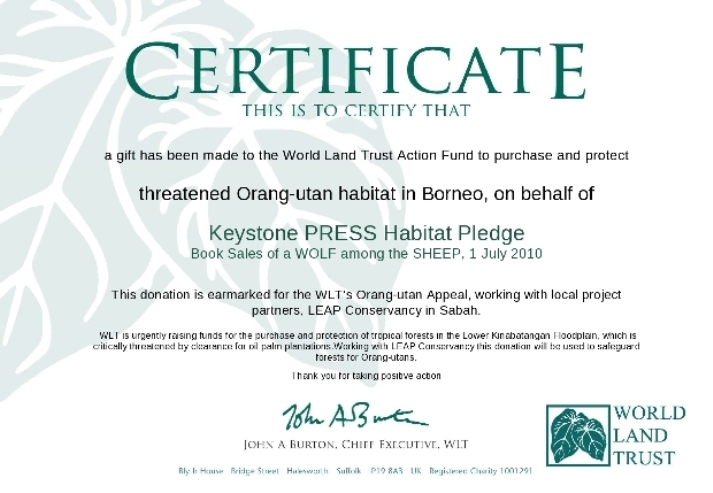 Assurances were sought about the environmental credentials of paperstock used for the printing of a WOLF among the SHEEP - but more needs to be done. Recycled paper is not suitable for high-value literature and neither can plantation timbers be regarded as ecologically neutral, as native vegetation had to be cleared away in the first place. 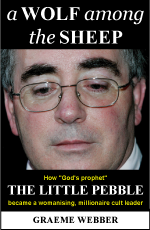 The KeyStone PRESS Habitat Pledge will therefore direct $1.50 from the sale of each paperback copy of this book to the preservation of natural lands for future generations. 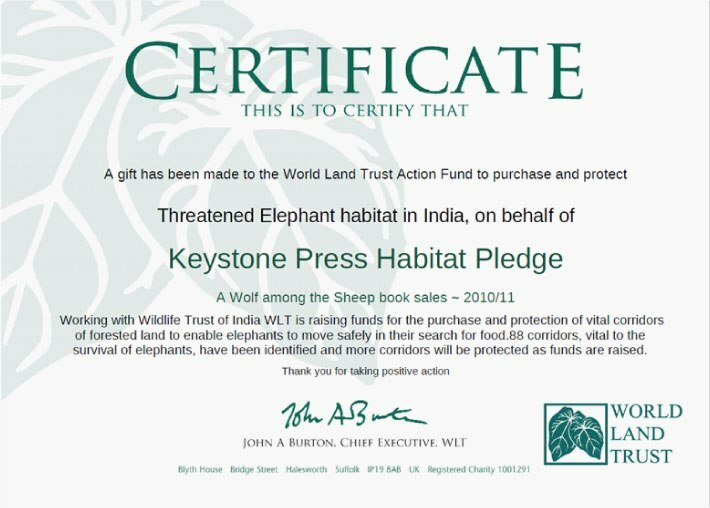 The non-profit organisation nominated to receive these royalties is the World Land Trust, whose patron is wildlife documentary icon Sir David Attenborough. The group's website makes a compelling case for the constructive and sustainable protection of our dwindling biological heritage. 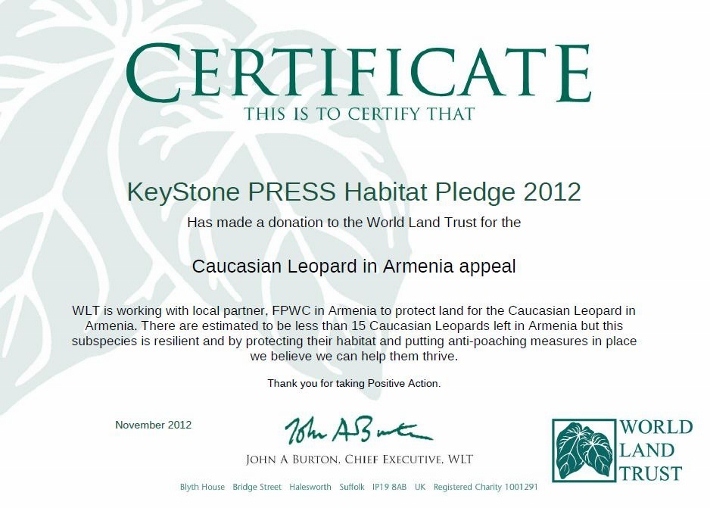 Details of the group's objectives can be found at www.worldlandtrust.org.